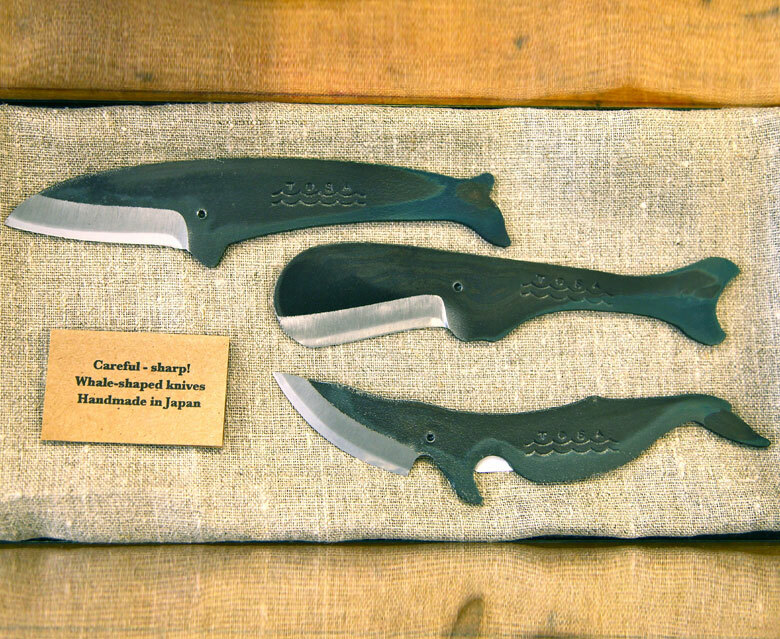 These Japanese Steel Whale Shaped Knives feature a double edged blade and they are made from high carbon steel. They are perfect for any beach house kitchen because they are elegant and they look like whales. 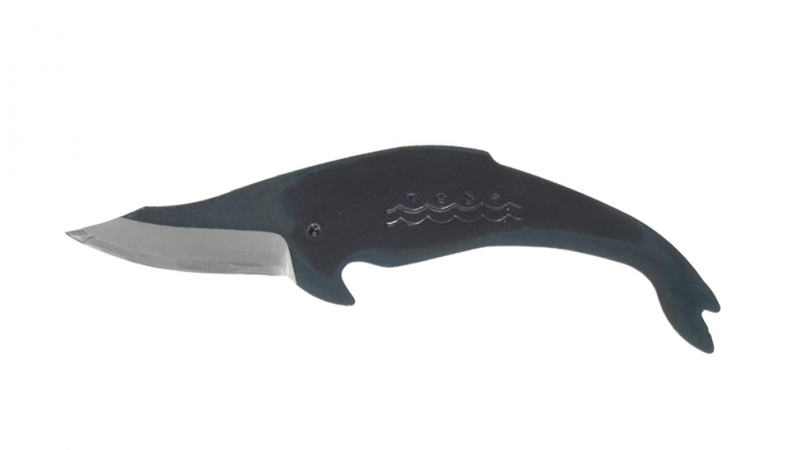 The handle has been designed to look like the body of a whale and the blade is the whales chin. Anyone who loves sea creatures, knives or unique item is sure to appreciate it as a gift. You will love these hand forged knives because they are very unique. Makers have hand forged them using a high carbon white steel inner core. Guests are sure to comment on them because of the cool design. You can use these knives for many tasks because they are so versatile. Users can employ them to do everything from cutting cheese to paring fruit. 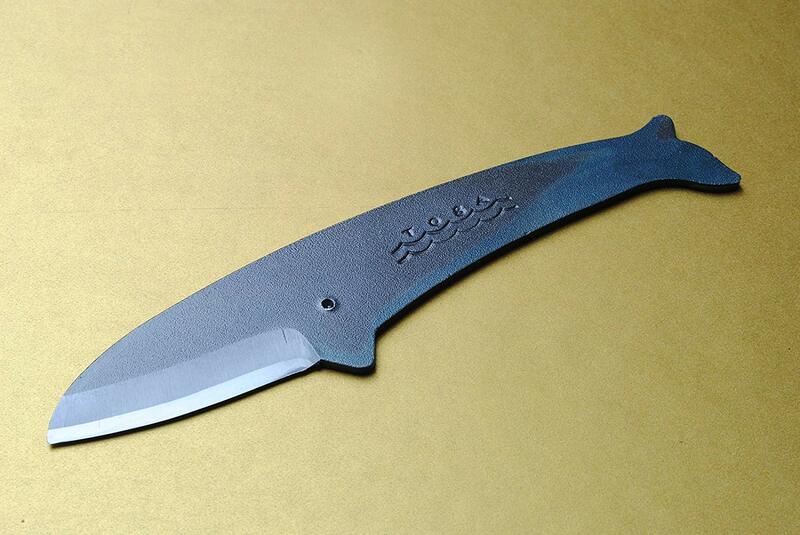 You will love how effective these knives are because they are high quality. In addition, they are very easy to use. Use it in the kitchen, at a picnic or even as a utility knife. You can use the knife for much more than cutting food because it is designed to do more than that. As a utility knife it can be used for things like simple woodwork or sharpening a pencil.